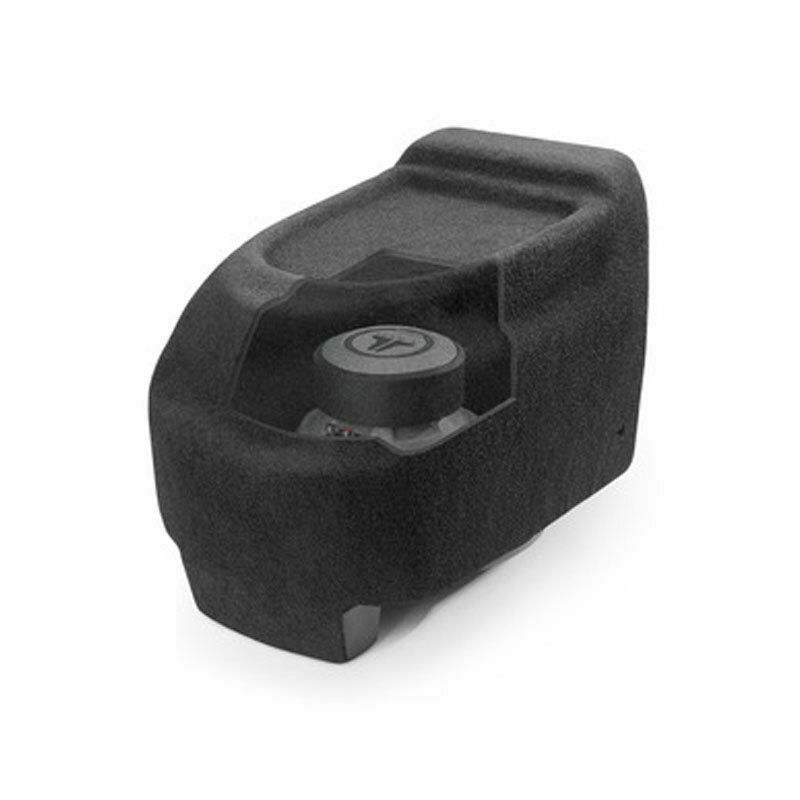 These luxury trucks and SUV's feature an innovative rear-center console which happens to be the perfect home for a hidden, high performance Stealthbox® solution. Our Stealthbox® installs inside the rear factory console and pounds out some serious sub-bass from its 500 watt, 12-inch subwoofer (while remaining completely out of sight). The Hard Data: Contains one 12W3v3-2 in a down-firing sealed enclosure. 500 watt power handling. Wired for 2 ohm mono. Stealthbox® installs inside rear factory center console and fires down into the floor. Cup holders are not affected. Console storage is significantly reduced. The factory console is not supplied with the Stealthbox®. Permanent modification of the inner-console is necessary. Will not fit in trucks with rear split bench seats. Will not fit '03-Up Lincoln Navigator.